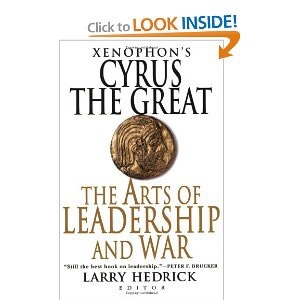 During my A Year With Peter Drucker professional growth time this morning I learned that the two leaders that Peter Drucker was most influenced by were President Harry S. Truman and Cyrus the Great. Truman because of his immediate recognition of Israel after being granted statehood by the United Nations and Cyrus the Great for freeing and returning the Jews to Jerusalem. 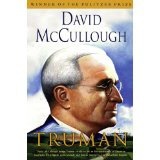 Cyrus and Truman were both men of integrity who had sympathy for the human condition. Drucker believed that integrity, and doing the right thing, is the essence of leadership (Maciariello, 2014). Drucker did a lot of reading and studying outside the realm of management. He did this because he believed that leadership at the highest level is rooted in history, religion, sympathy, and human reality (Maciariello, 2014). This studying beyond one’s own discipline coupled with enough practical experience to know real challenges was very important to Drucker. He believed the ability to quantify is very important in management, but when leading there are unique events that can only be observed through human perception. “What we can perceive is shaped by what we know and that can be aided by broadly educating ourselves” (Marciarello, 2014, p. 38). Perception can be trained so we can identify unique events as they unfold. Maciariello, J. A. (2014). 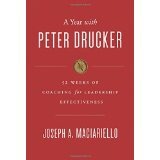 A year with Peter Drucker: 52 weeks of coaching for leadership effectiveness. New York, NY: HarperCollins Publishers.